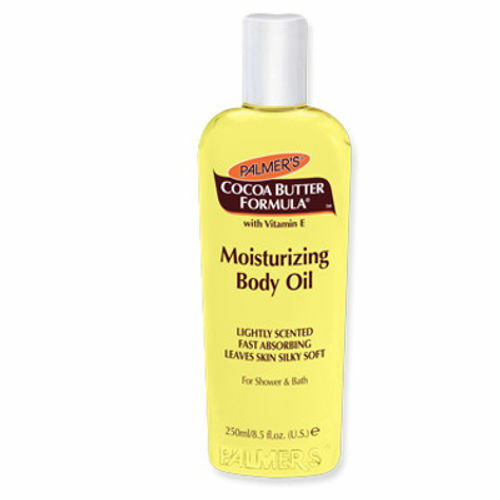 Palmer's Cocoa Butter Formula Moisturizing Body Oil is enriched with Cocoa butter and vitamin E which deeply moisturise the skin making it soft and supple. It does feel heavy like any other body butter, it light and absorbs quickly into the skin. Cocoa Butter softens and protects by diminishing water loss - keeping skin hydrated and supple. Vitamin E antioxidant enhances the protective function of skin and decreases the appearance of lines, wrinkles and scars by keeping cells hydrated.